I offer reflexology and Reiki from my treatment room at home in Fairy Cross, Bideford and at Essential Wax and Beauty in the centre of Bideford both of which are easily accessible from Westward Ho!, Northam, Appledore, Instow, Parkham, Fremington and the surrounding North Devon area. I have limited mobile appointments available in Weare Giffard and Torrington on Wednesdays - call me on 07899 947226 for availability. There is ample free parking outside my home in Fairy Cross and there is a pay and display car park right next to Essential Wax and Beauty, The Pill, Kingsley Road, Bideford. Complementary therapies such as reflexology and Reiki aim to promote improved health and well-being by encouraging deep relaxation. Your body has an amazing capacity to heal, but sometimes it needs help. Relaxation increases blood flow to the muscles and reduces wear and tear on the mind and body. Studies show that relaxation lowers heart rate, boosts immunity and enables the body to thrive! Reflexology and Reiki can both help reduce stress-related issues which are believed to be a factor in over 70% of GP visits. They help to calm down the nervous system allowing the body to function more efficiently. Many conditions can be improved with the support of reflexology and/or Reiki, including but not limited to; anxiety, stress, depression, back, neck and shoulder pain, migraines, fertility, menopause, insomnia, digestive issues and pain management. Reflexology and Reiki are complementary therapies and can therefore be used alongside other medical treatments. However, any complementary therapy should not be used as an alternative to seeing your Doctor or taking medical advice. 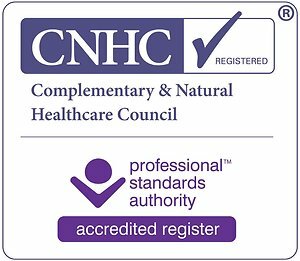 I am a fully qualified and insured therapist based in Bideford, North Devon and am a full member of the Association of Reflexologists. Please use the menus to browse through my website pages to learn more about the therapies I offer. If you would like to book an appointment, you can do this online here https://app.shedul.com/online_bookings/simple-balance-holistic-therapies-gp60tww9/link or you can call me on 07899 947226. If you prefer to send an email: [email protected] and I will get back to you as quickly as I can. I look forward to helping you change the way you feel. Reflexologist covering Bideford, Westward Ho!, Northam, Appledore, Instow, Fremington, Parkham, Weare Giffard, Torrington and North Devon surrounding area. I have limited availability for mobile appointments within the Bideford, Instow, Torrington, Weare Giffard and surrounding areas - please get in touch prior to making a booking if you require a home visit.